I have always loved the secrets behind the Legion of the Damned, so of course, I had to pick up the "Codex." 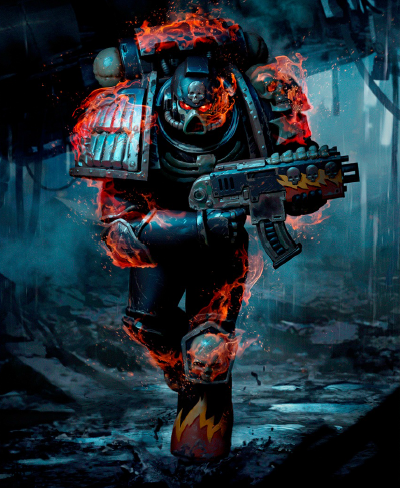 I'll get the first bit out of the way early - it's a Codex in the same way as the Inquisition Codex is. By that I mean that there were no new units introduced, just new ways to field existing units either as a standalone force or as allies. Today I wanted to take a step back and give a little love. As you all know, tabletop gaming requires a couple things: armies, table space, and someone to play against. Most of us know of a place we can go to play, most have someone to play against, and almost all of us have our own armies. That's all good, but what about challenges, leagues, playing against new players, tournaments, and campaigns? For these, we are going to have to find a hobby store that caters to this need or at the very least can give us a place and platform to go off of. 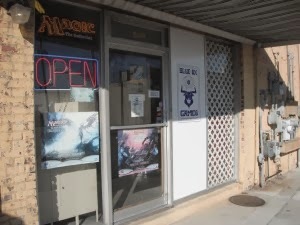 With that in mind, I would like to highlight the two stores that really got me into the hobby and some of the neat things about them: Gamer's Haven of Greenville and Blue Ox Games. This past weekend, Ron visited for a quick gaming weekend. First thing we did was set up the board for a NOVA-style test game, where Ron would run his Tyranids, while I ran my Tau with Eldar allies. The goal was to build a highly competitive, top tier style list to match up against the Tyranids. 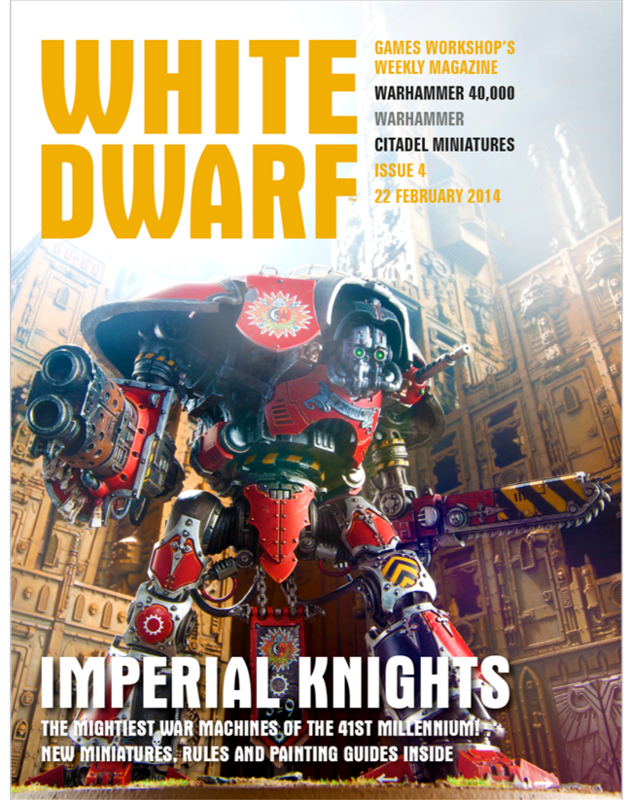 The new White Dwarf is hot off the presses with the much anticipated rules for the Imperial Knights. To start, the kits look awesome, and seem to have a ton of bits to choose from; four head variants, a couple weapon options, and assorted paraphernalia. As had been rumored, the price point is $140, and they're up for preorder on GW's website. What's up everyone? Here is the third episode from Facing the Grey Tide. In this episode we try to help out Bryan as he faces down his Grey Tide and the Missions of Darkstar. We also dip into talking about some of the deathstars and popular meta builds at the moment and how you might try to combat them. So, the last and least likely army I could bring to the NOVA Trios Team Tournament, is Tau. Part of the reason this is my least likely is because it will require the most purchases (and by most I mean any). I think if I went this route I would have to have fun with it and bring just about only big scary suits, so I'm leaning to Farsight Enclaves. As I mentioned in my first NOVA Madness Post, I had originally planned on taking Eldar, with or without some Tau sprinkled in. My recent thought has been, with how much I have been diving into the Tyranids, maybe that should be my GT army, and then I will get my Tau/Eldar ready for use in the Trios. The title sums it up to some degree. 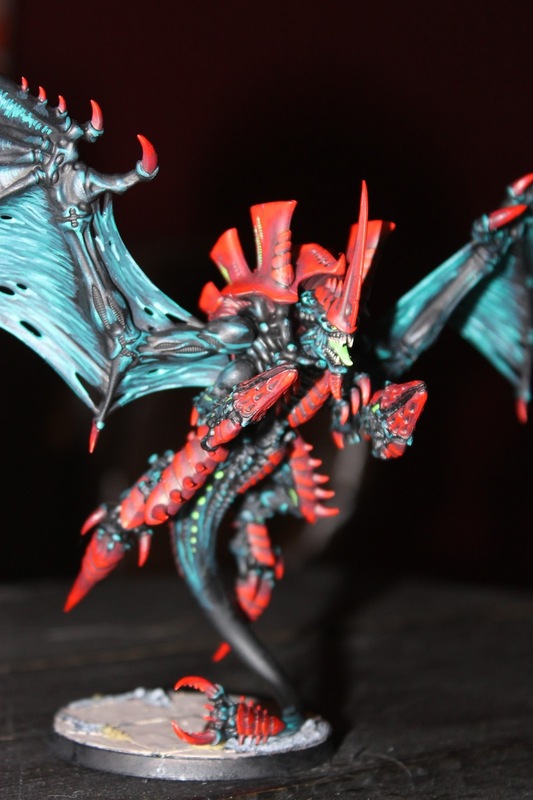 The hate for Codex: Tyranids continues to rain down, and I couldn't be happier about it. Call me overly optimistic, call me deluded, but I am generally positive about the direction my Tyranids are going. Now, am I totally happy with the book? No. Hell no. In fact, I can fall off that ledge and go through and list every unnecessary and overly-harsh nerf, every missed opportunity, and every strange, limiting, and detrimental rule and change or lack thereof in the new Tyranid book. 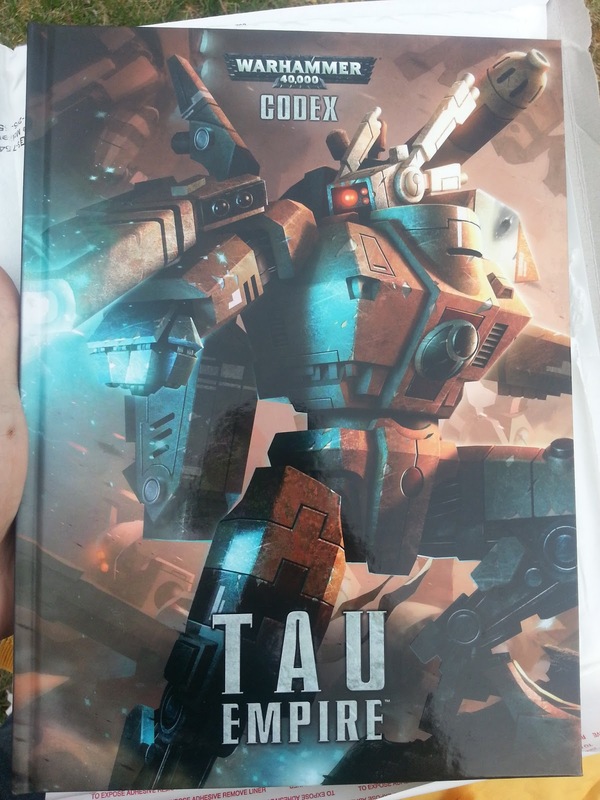 Overall, I think it was a pretty piss-poor effort for a "new" codex. But if there's one thing I am, it's stubborn. And so, while I see so many people around me embrace and spread the hate and vitriol for how unusable the new Tyranid book is, I got to work. I think this goes for all the guys on our blog. 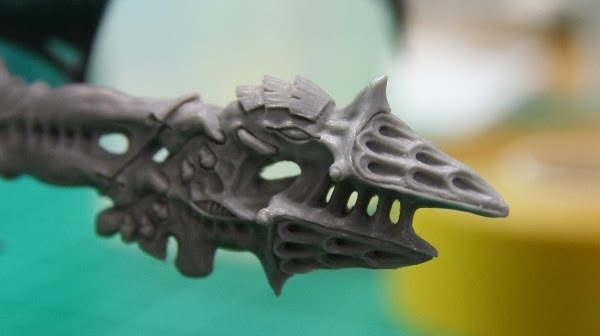 As I mentioned in a previous post, magnetizing the Exocrine/Haruspex was pretty straightforward. For the tournament last Sunday I wanted to get one of the Exocrines painted up, even if I didn't finish the Haruspex parts. With a hefty bit of plastic currently in various stages of painting, priming, off sprue, and on sprue, I figured this would be a good New Years resolution of sorts. As with all resolutions, it is all about commitment, determination, and getting that first week under your belt. With that said, I am currently battling through the second semester of my job, starting coaching, and have a couple of other major things to deal with. Yet I am going to find time, space, and the willpower to hit all of my goals. This is going to be a quick, what is my current tide, what I want to get done and by when, and what do I need to do to make sure I get there. What better way to start the New Year than by realizing how much stuff I really have to get through. So here is My Grey Tide Resolution. What's up guys? 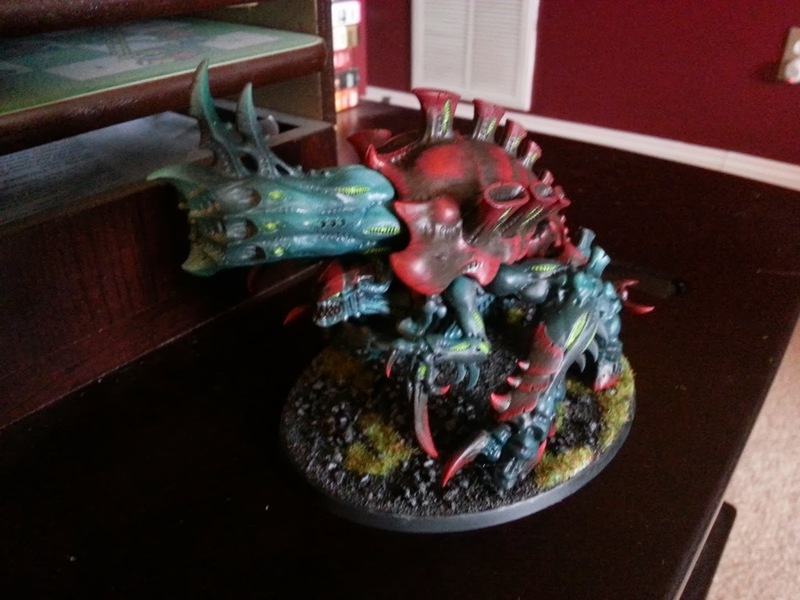 We are back this week with another Podcast, this time running down, and finishing out the rest of the Tyranid Codex. I have to say that this was great hanging out in the Termagant Break Room breaking this thing down. We also came up with some lists at the end of the Podcast to give our idea of what we feel is the "Competitive" lists right now. I am sick of foam. 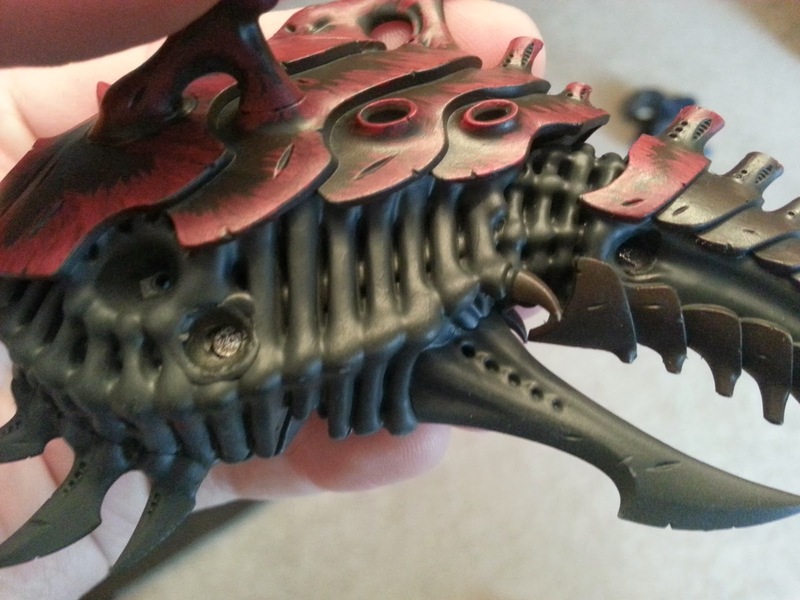 I play Tyranids - they have spikey, spindly bits that get stuck on foam - they break. I also have too many models - placing them in foam individually is a bit painstaking for a tournament. 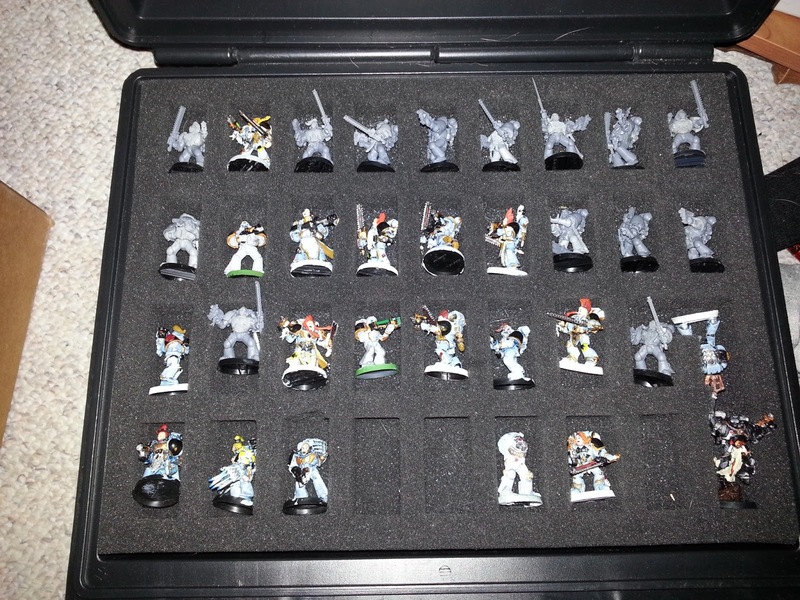 The logical alternative is something like the TableWar case - a hard case with magnetic shelves on which models can stand upright. But, like many transport options, it is also expensive. I decided to instead try my hand at being constructive and create something of my own. 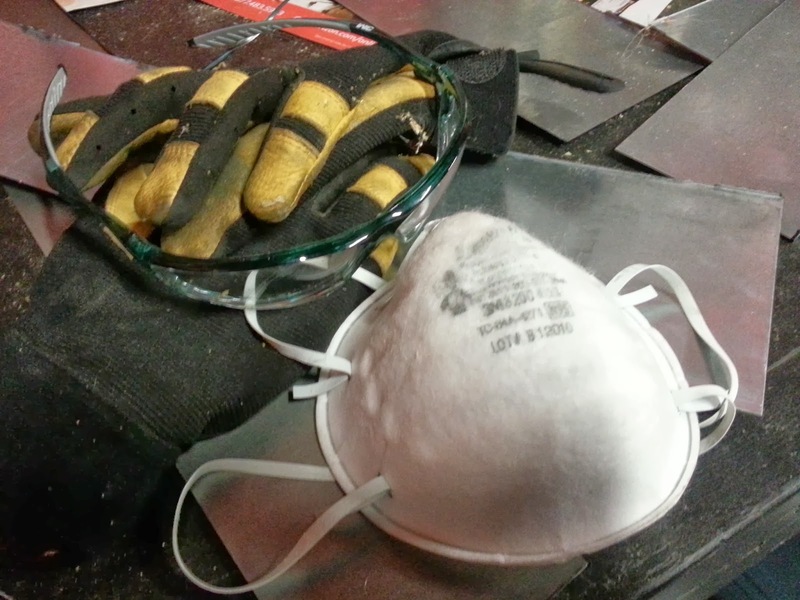 For this project, I spent about $50 on a toolbox, two sheets of thin steel, and a metal-cutting blade for my Miter Saw (so there is some equipment required here). 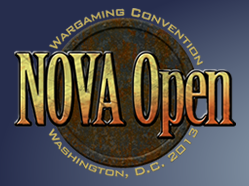 NOVA Registration opened last Saturday, and with it comes thoughts of what I will play and what I will bring. One event that really caught my eye last year was the Trios team tournament in which you make a team of three and play three games. Two of the games will be 2on2 games, with each player fielding a 1,000 point force allied with their teammate. The third game is a one on one 2k game. The 2k game in particular is a bit more wide open, allowing Stronghold and Escalation, as well as double force org. This past weekend, I sat down and devoted more or less my entire my Saturday to painting and just about finishing my Harpy/Crone. As I mentioned in my previous post, I magnetized all the main options. I came in to the day with the base coat and first layers of carapace for the head and back. Something different I tried this time was to paint the carapace with Rhinox Hide for the base color rather than black. How the body started the day.